Well, it took me about 2 months to not buying another coloring book. But one night, I went to Walmart (to buy something I need), and somehow ended up in the crafting and books aisles. Guess what I found? I just can't say no to anything Asian. So I bought it. 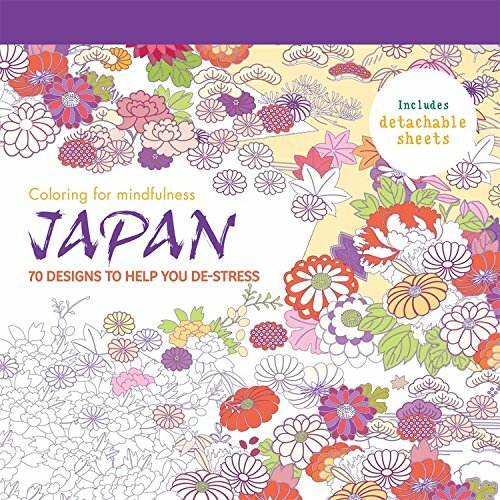 The designs remind me a lot about Japanese washi paper. To me, they are the Rolls Royce of paper - the way they are made, to the intricate designs and application of color. 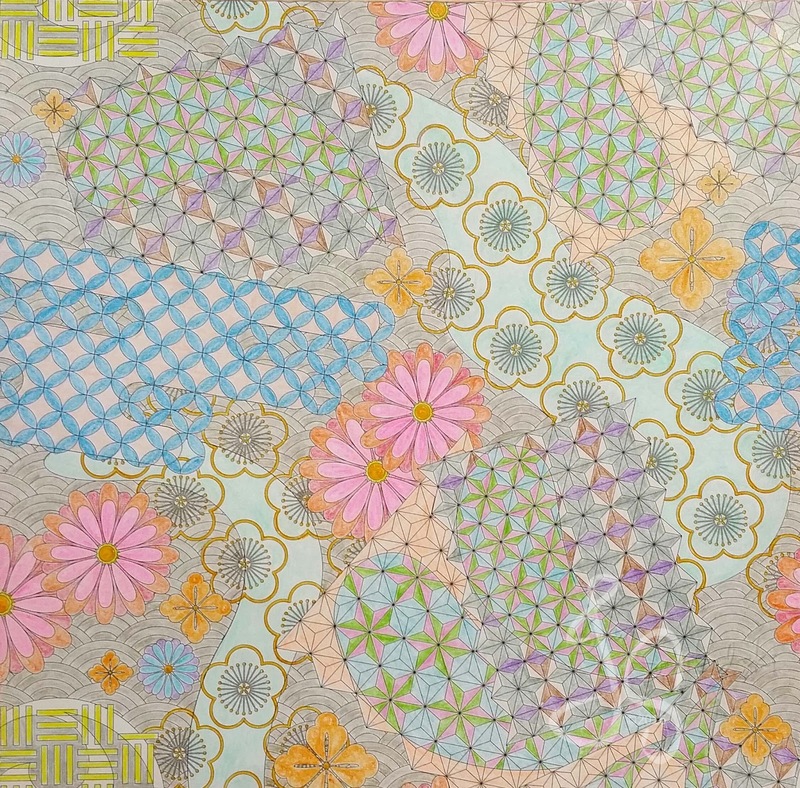 And because of all the work put into a design of washi paper, it is not cheap. If I can buy all the washi paper in the world, I would. Last Sunday, I worked on the first page. For this one, I used Solabela Color Pencils, except for the gold around the flowers. I used a gold gel pen on that to achieve the look of Japanese washi paper. I'll definitely use this to make a card set with. Also last weekend, we went to Sams Club to stock up on house supplies. And guess what I found? 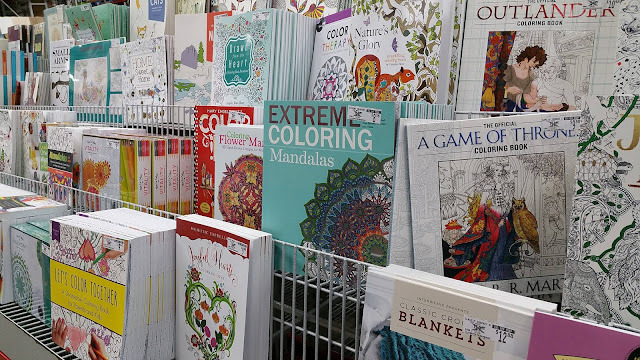 A whole bunch of adult coloring books. Ok, I have to admit. It felt like being a kid in a candy store. But I was a good girl, because I picked the best ones for my taste and only got two. Actually, I only got one. The other book was an adult "connect the dots" type. I thought it would be good to try something different. 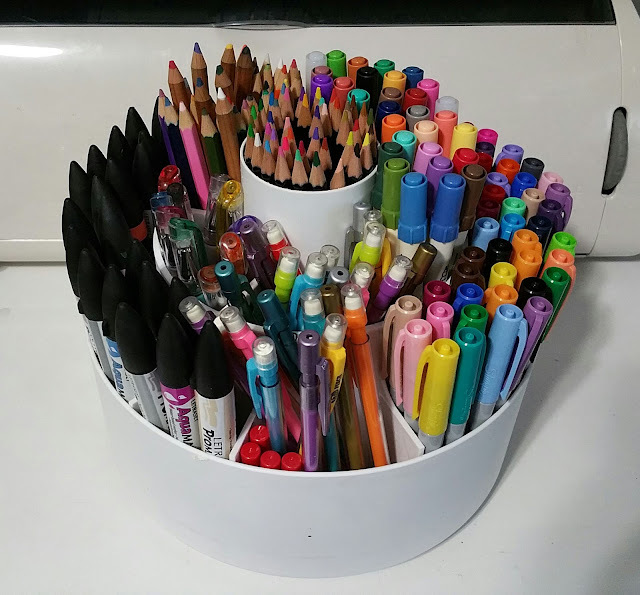 Finally, I'd like to share with you my coloring supplies. I made a promise to limit myself to what can fit on this Pampered Chef tool carousel. There's the typical colored pencils, Sharpies, gel pens, cheap alcohol markers and pastel pencils. You can see some Letraset markers there too. I was lucky enough to find them at our local Merchandise Outlet for $6 a dozen. Not bad. It would give me a sense of achievement if I can use them all up to their last drop of ink or last bit of color. I just need to use them more often. I guess I just have to quit my RL job. Well, that's not going to happen any time soon.